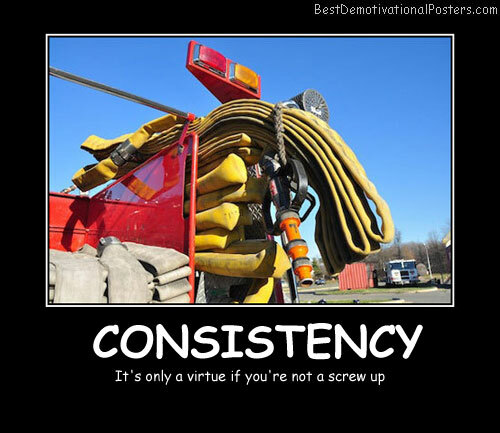 Consistency - It's only a virtue if you're not a $crew up. 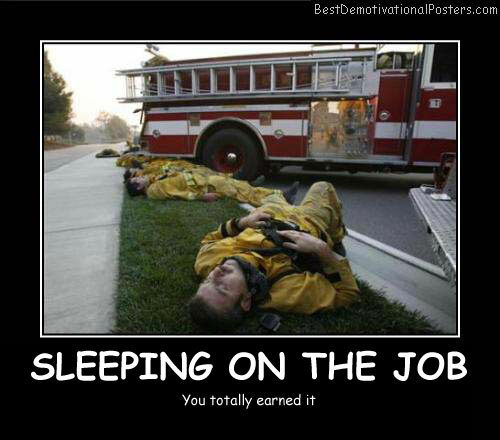 Sleeping On The Job - You totally earned it. 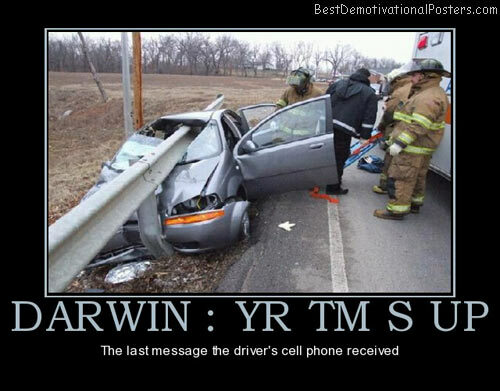 DARWIN : YR TM S UP - The last message the driver's cell phone received. 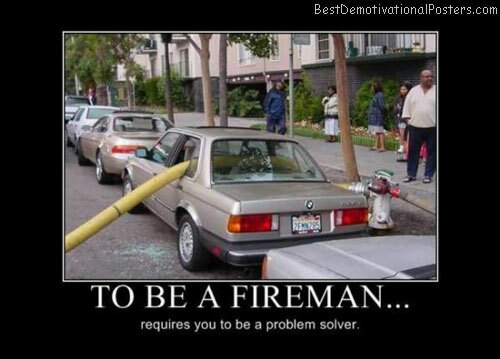 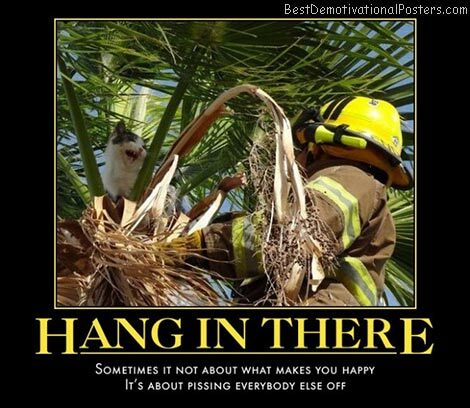 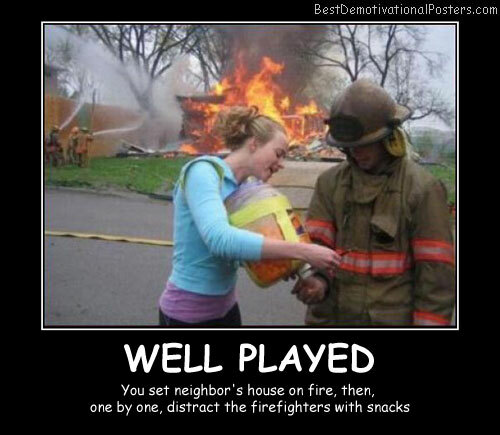 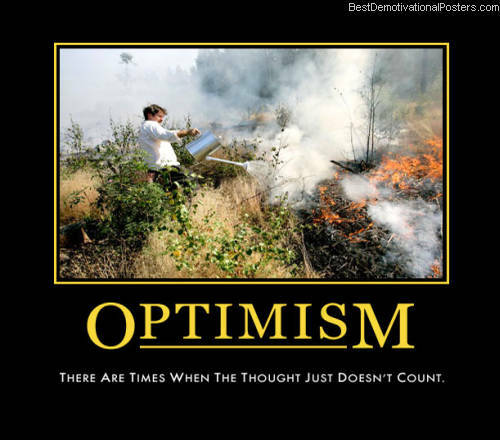 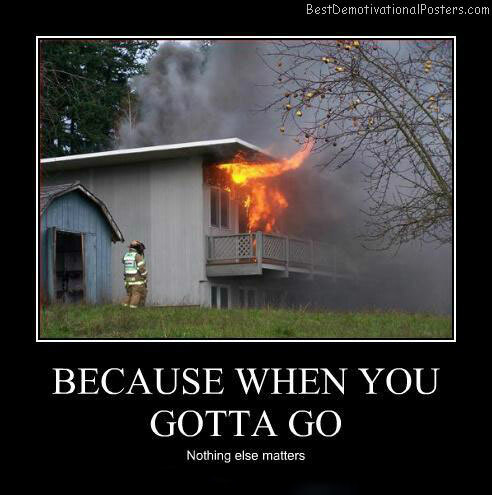 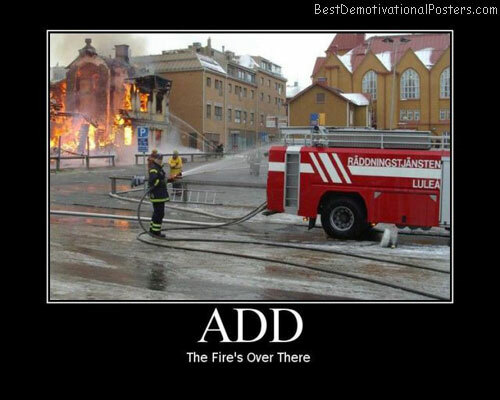 To Be A Fireman - Requires you to be a problem solver. 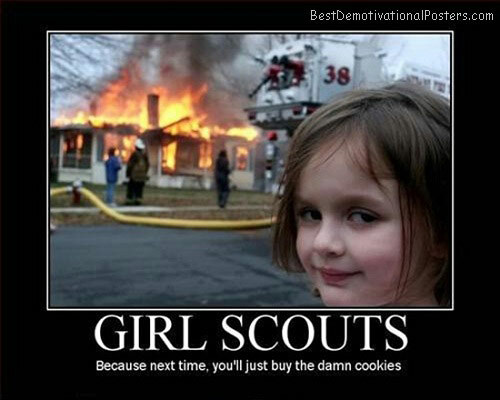 Girl Scouts - Because next time, you'll just buy the damn cookies.